Nestled amongst the gums, a perfect opportunity to enjoy the peace and tranquility of Blackwood. This beautiful double brick home comprises 3 bedrooms, master with ensuite bathroom, large open plan kitchen, living and dining, central bathroom and detached self contained bungalow perfect for guests or as a separate tenancy. Both house and bungalow are energy efficient with double glazed windows throughout, wood heaters as well split system heating and cooling. Situated on a large residential block of land with two street frontages this property has views to Blue Mount and includes lovely garden sculptures, landscaping, mature plantings, a powered double garage and has the garden of St Erth right at the end of the street. 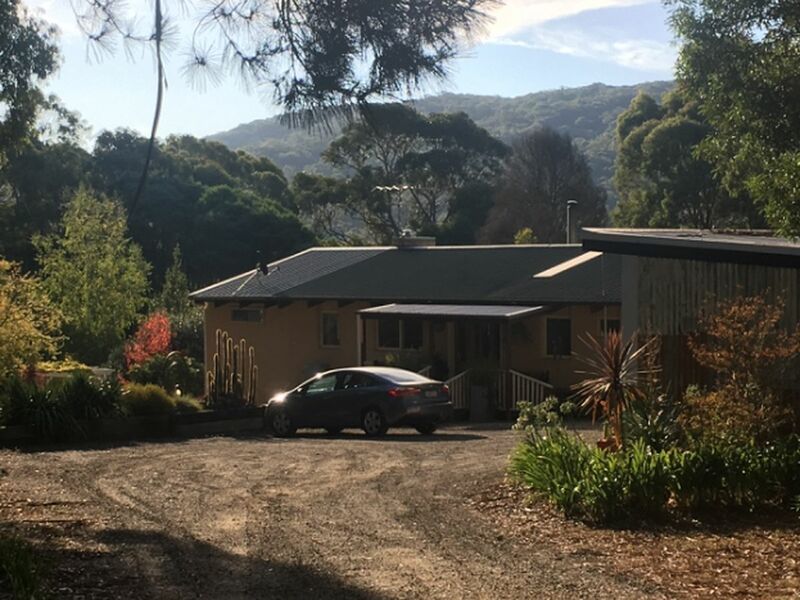 A perfect opportunity for the owner occupier or weekender with capacity for both subdivision (STCA) and a separate tenancy.